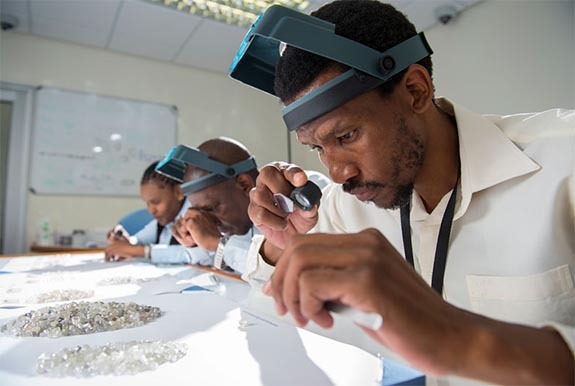 A senior research scientist at the Gemological Institute of America (GIA) believes the 1,109-carat Lesedi La Rona — the second largest rough diamond ever found — actually weighed at least 2,774 carats before it fractured into five pieces during the sorting process at Lucara’s Karowe mine in Botswana in November 2015. 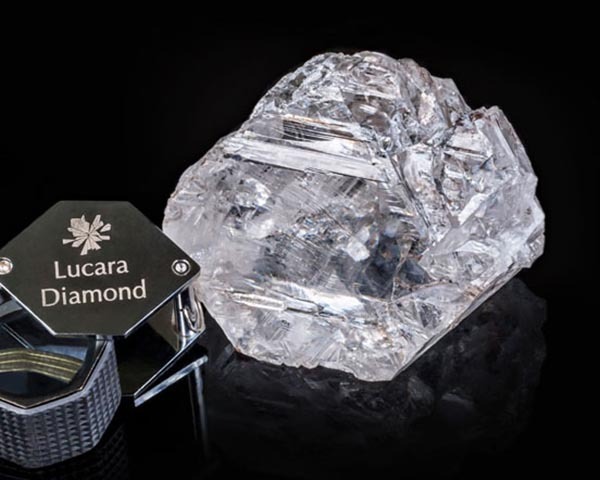 Lucara had previously reported that the 813-carat “Constellation” and a 374-carat unnamed “shard” had broken off Lesedi La Rona. 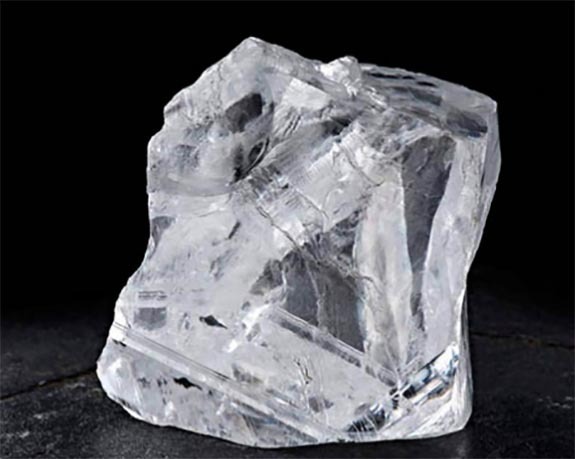 The total weight of the original rough diamond, had it remained intact, would have been 2,296 carats. “Due to the similarity in their external characteristics — which include cleavage faces — as well as their extraction locations and dates, it was suspected that these stones might have originated from a larger rough that had broken,” Dr. D’Haenens-Johansson wrote in the Fall 2018 issue of Gems & Gemology. 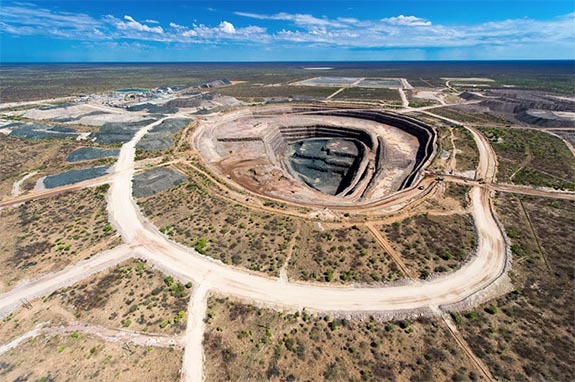 The Constellation set a world record for a rough gem when Nemesis International and De Grisogono partnered to purchase it for $63 million in 2016. 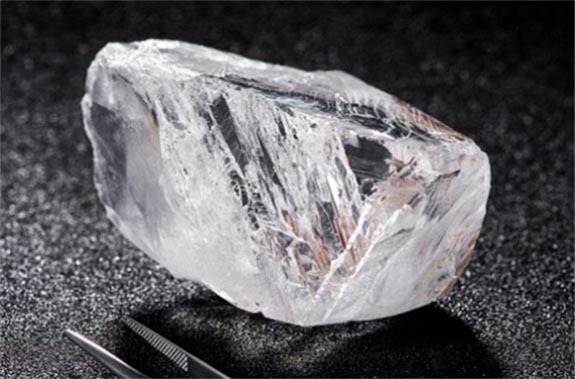 Graff bought the 374-carat “shard” for $17.5 million in May 2017 and subsequently paid $53 million in September 2017 for Lesedi La Rona.